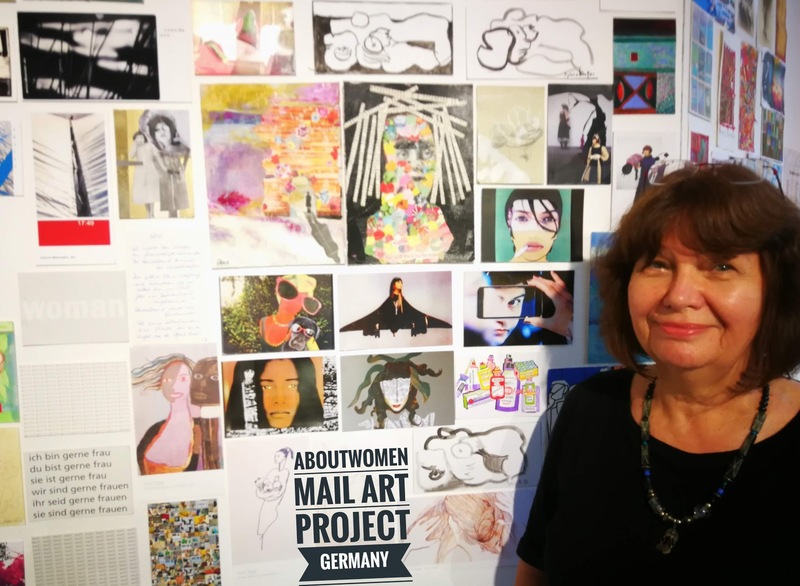 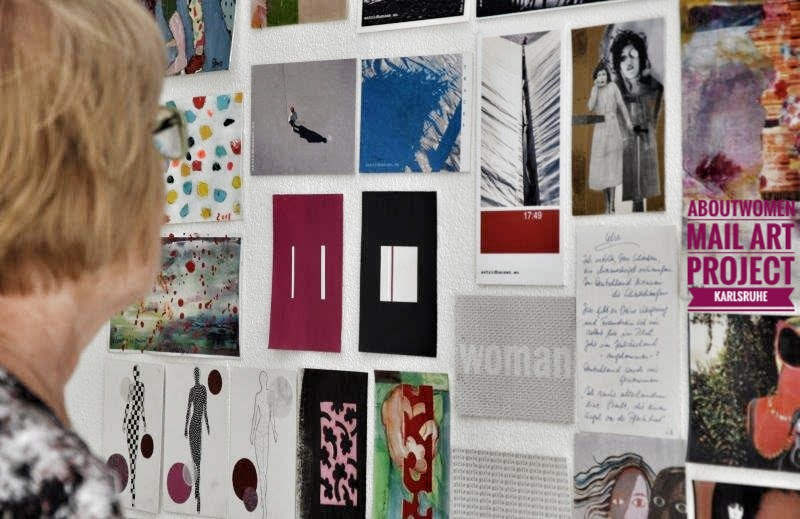 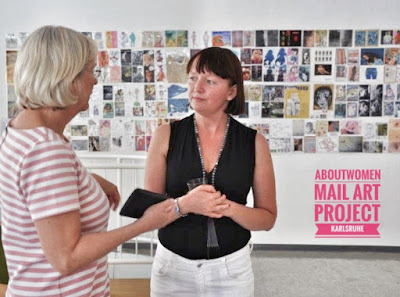 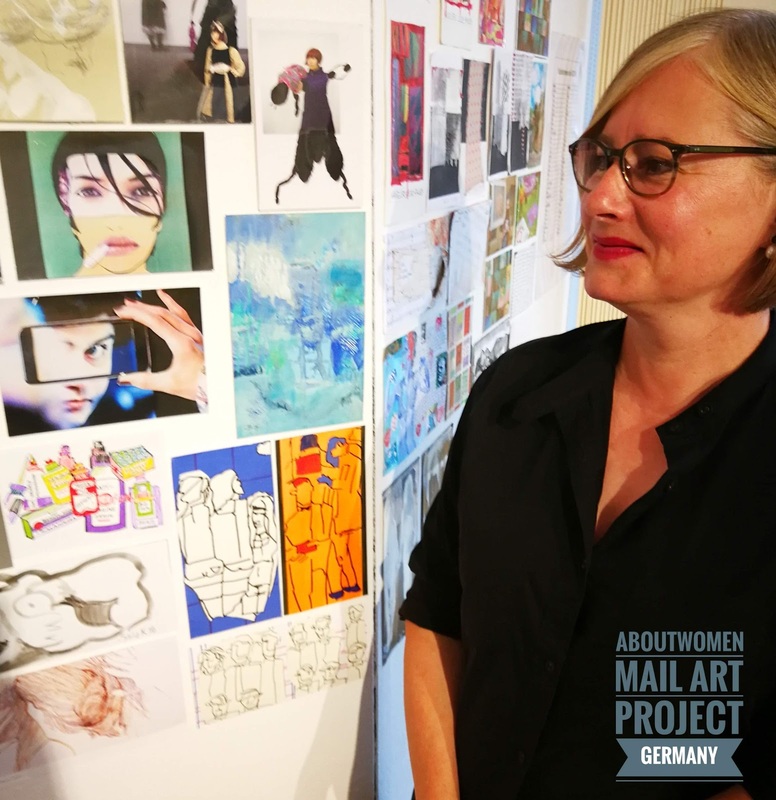 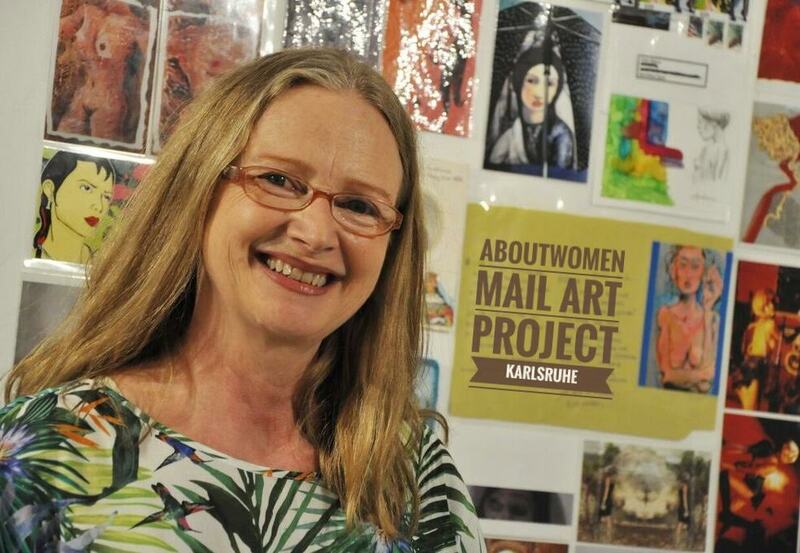 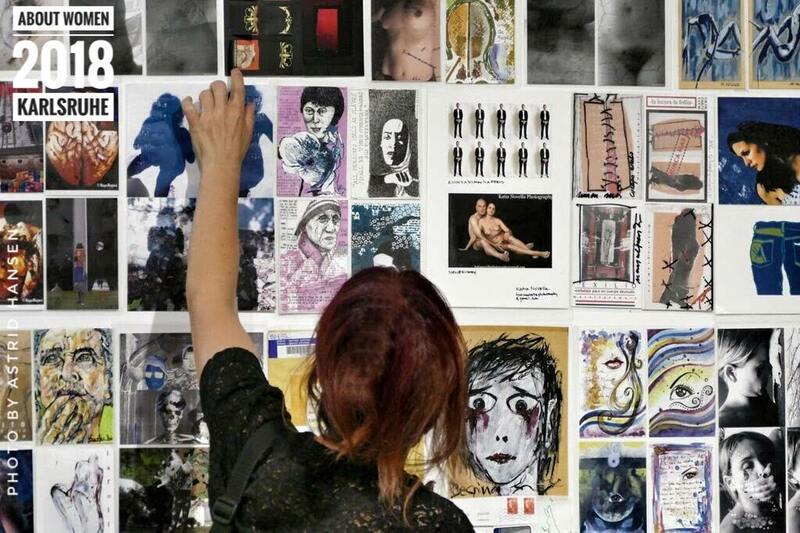 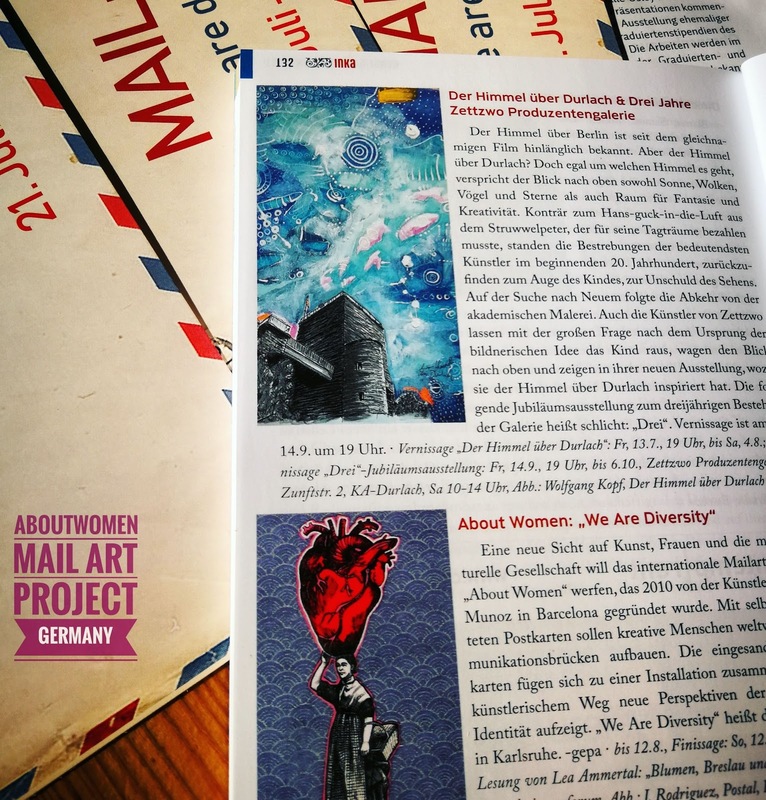 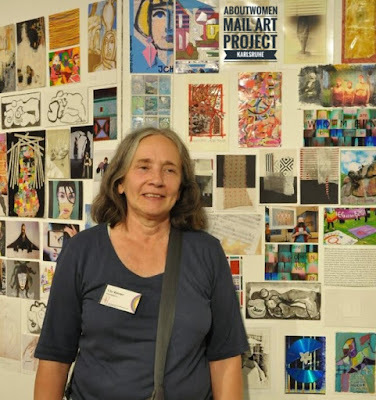 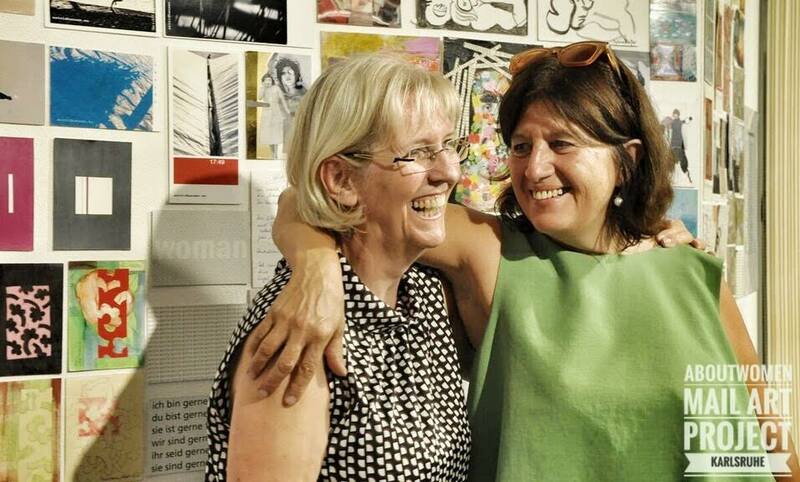 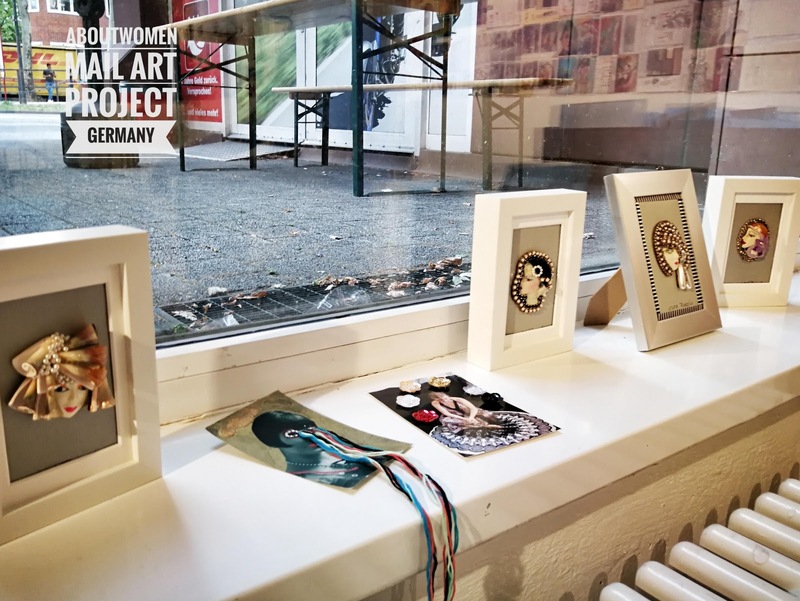 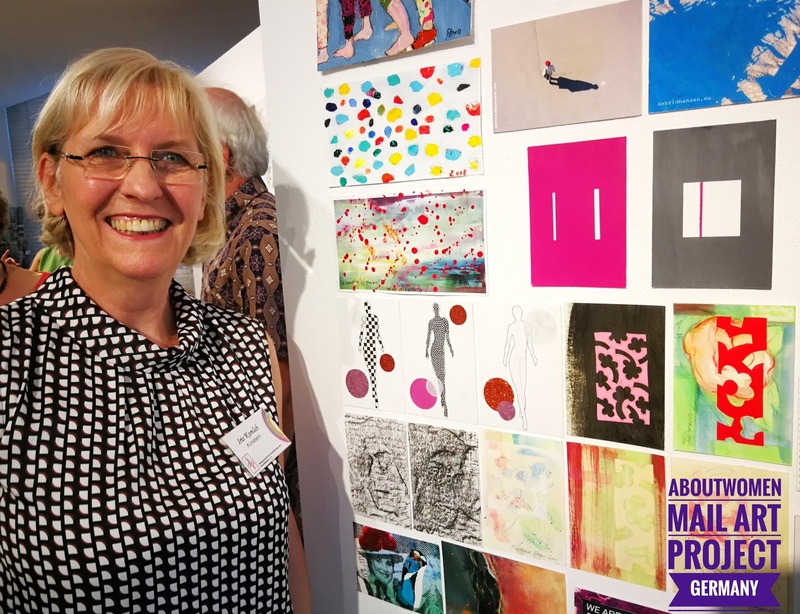 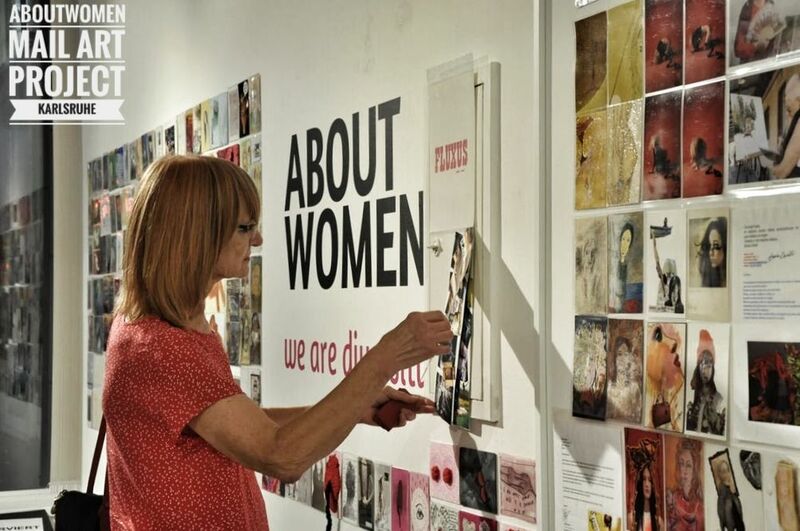 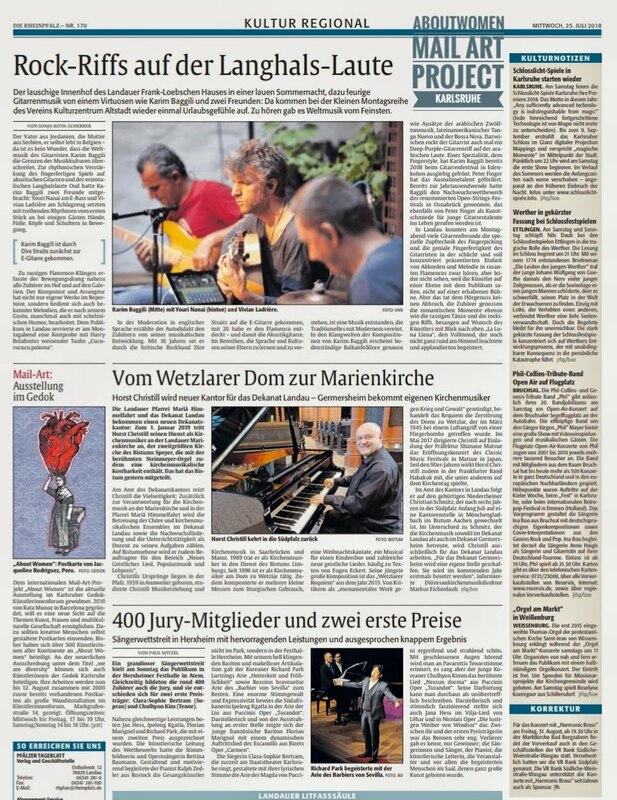 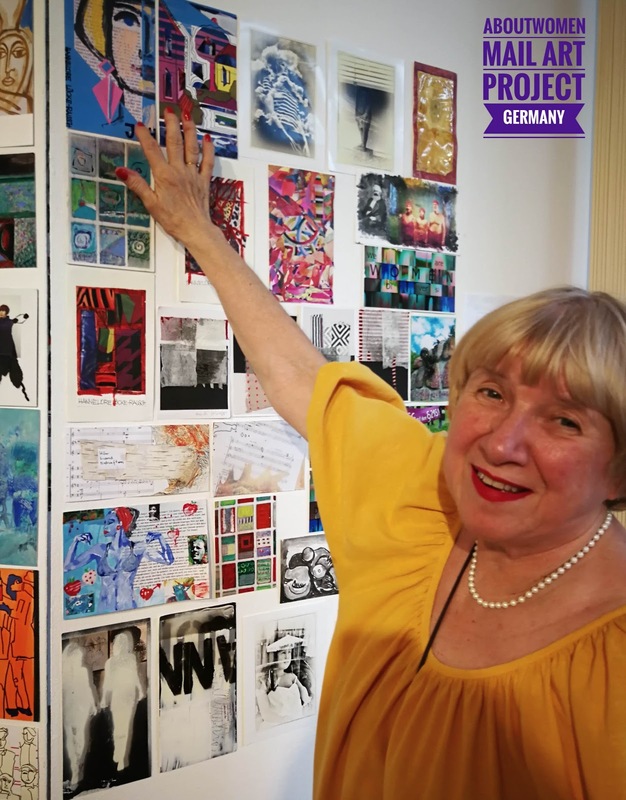 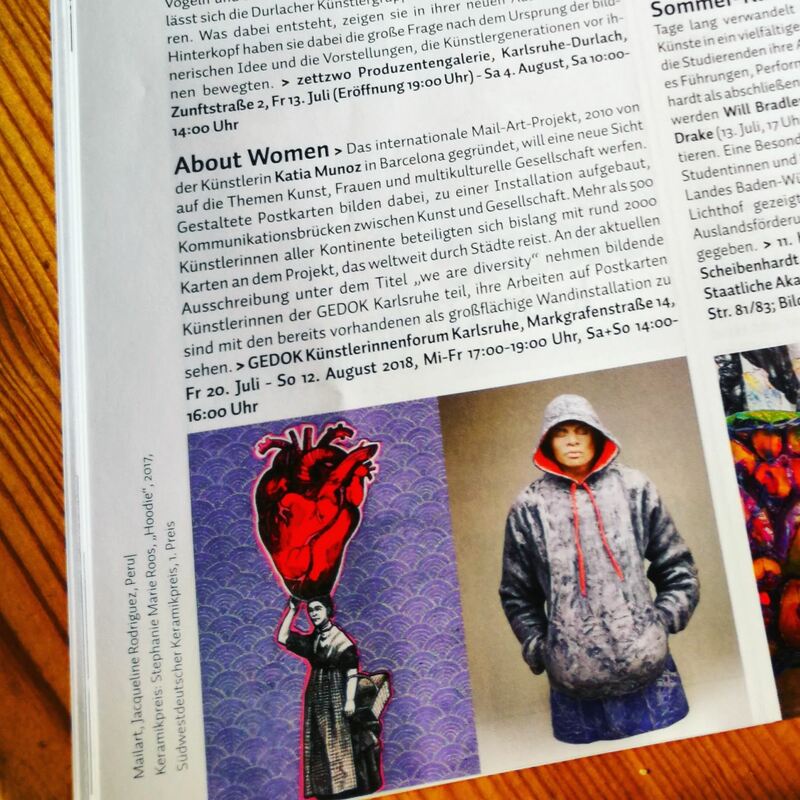 The installation of Mail Art About Women was presented for the first time in Germany. 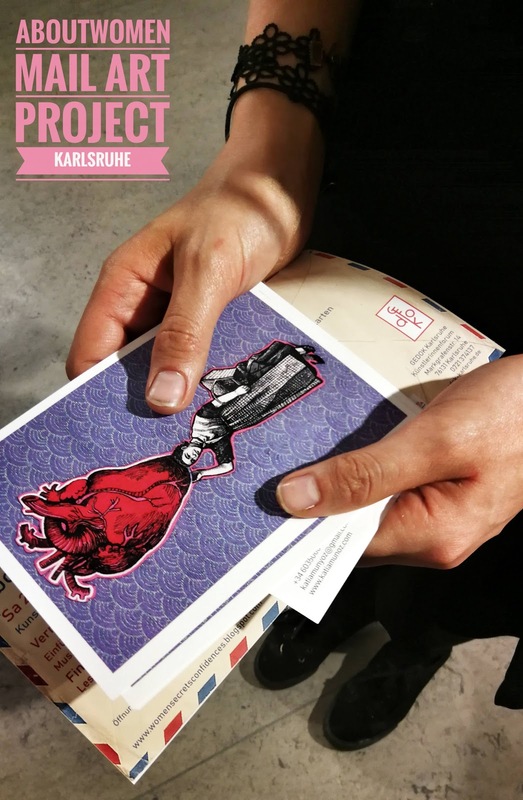 The GEDOK Karlsruhe Künstlerinnenforum center was the artistic space that houses the entire collection, with more than 2000 postcards. 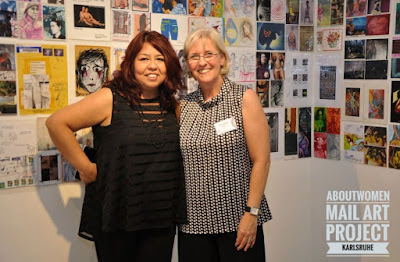 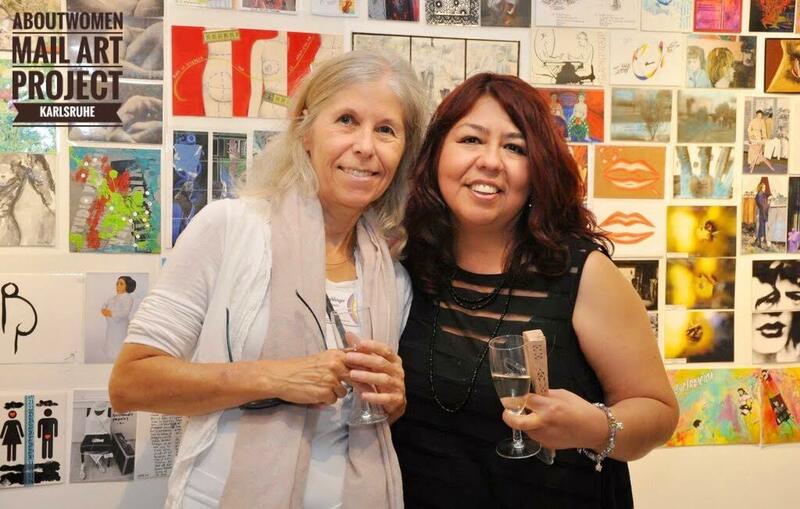 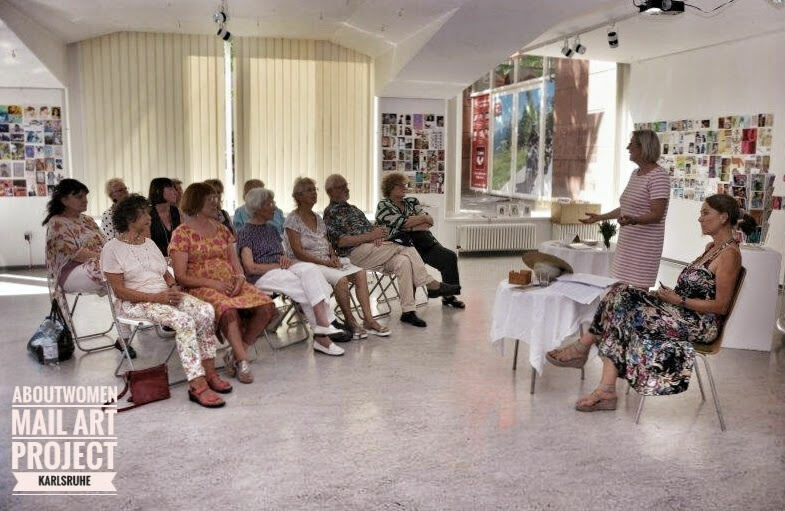 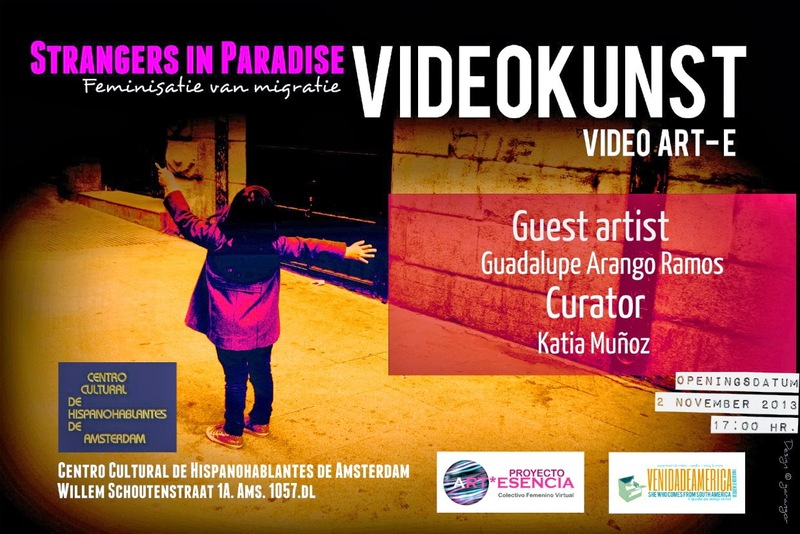 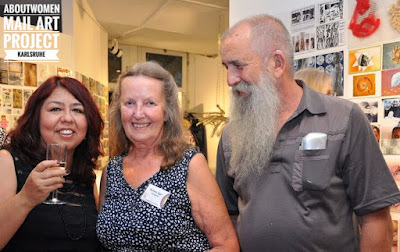 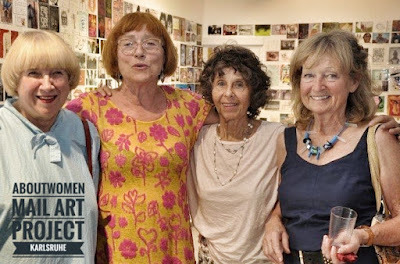 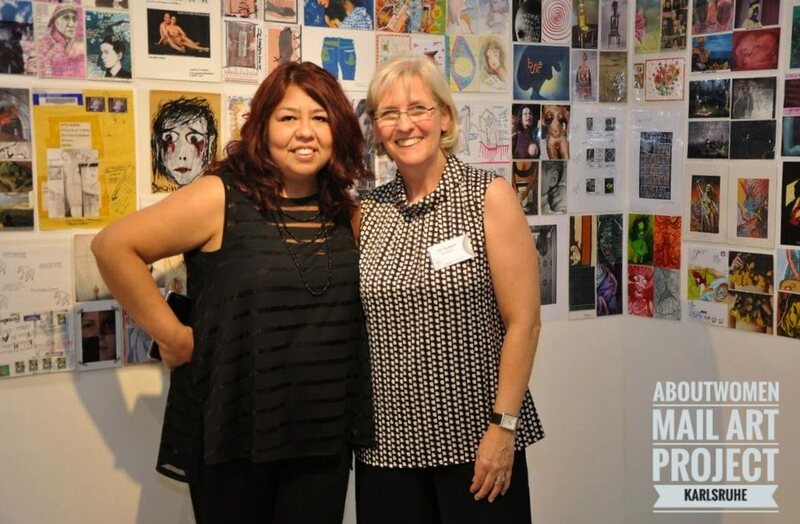 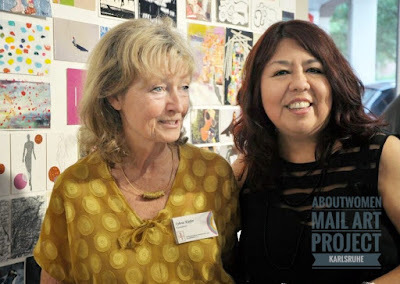 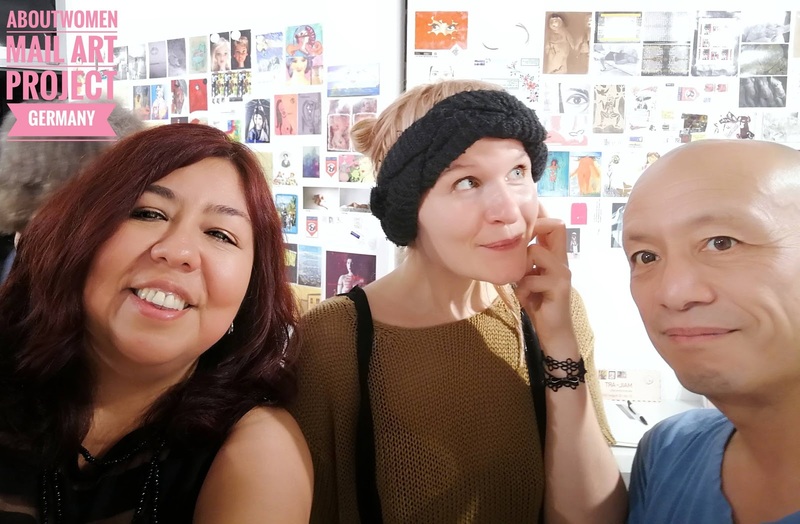 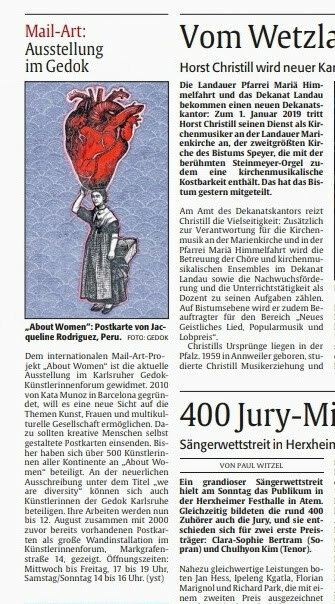 The presentation was in charge of the artist and founder Katia Muñoz, with the artist Gloria Keller, ambassador of the project in the Germanic country. 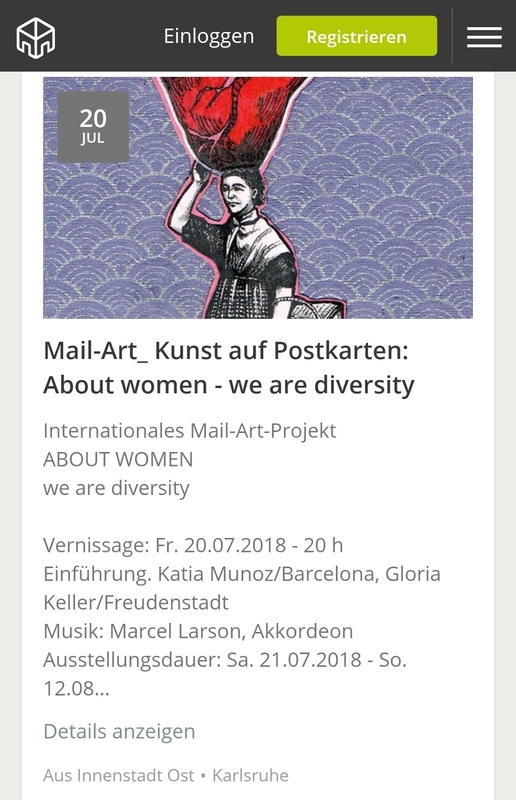 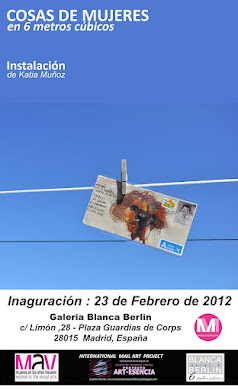 La instalación de arte postal sobre la mujer se presentó por primera vez en Alemania. 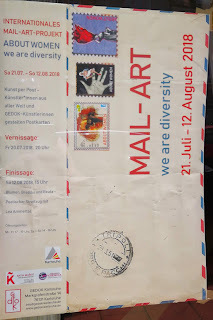 El centro GEDOK Karlsruhe Künstlerinnenforum fue el espacio artístico que acoge la colección al completo, de más de 2000 postales. 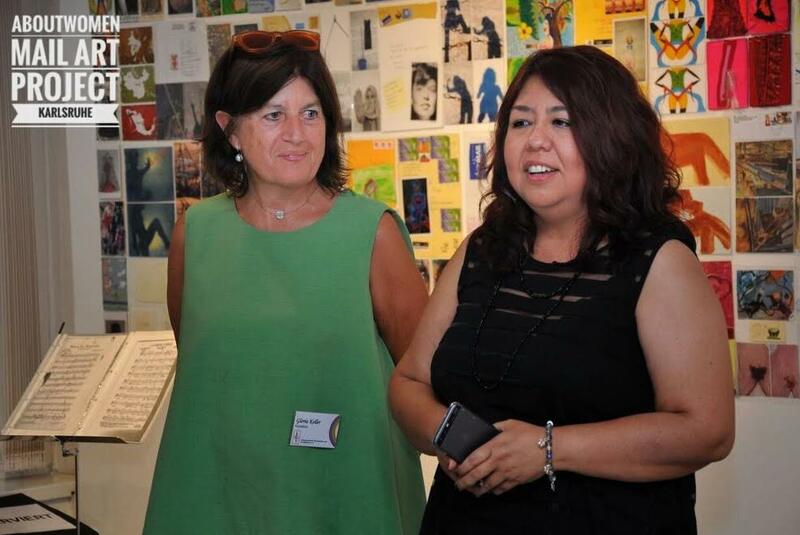 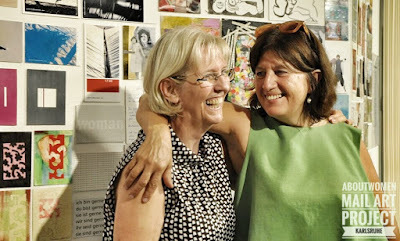 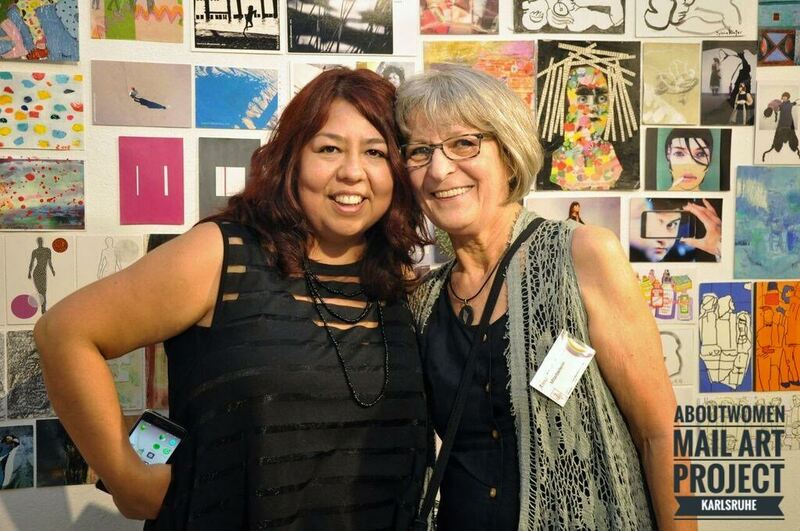 La presentación estuvo a cargo de la creadora del proyecto, la artista Katia Muñoz junto a la artista Gloria Keller, embajadora del proyecto en el país germánico. 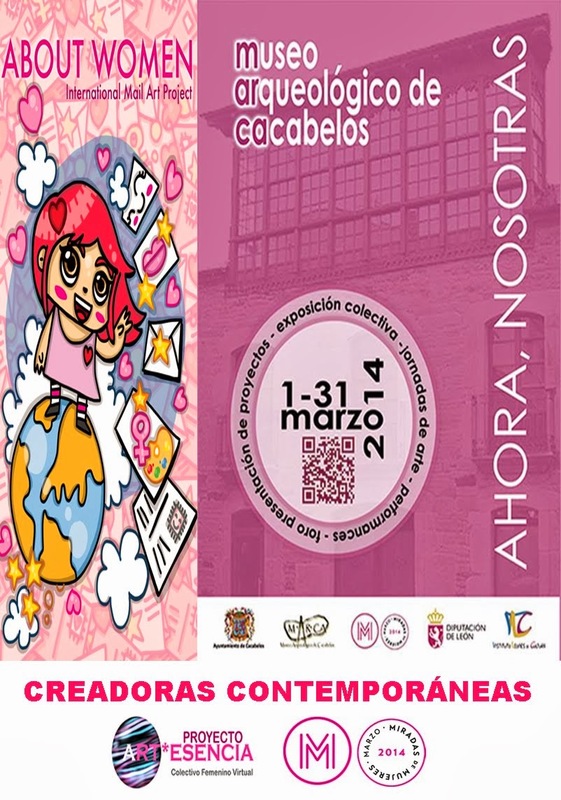 La exposición fue acogida por numeroso publico interesado en el proyecto y en el arte postal. 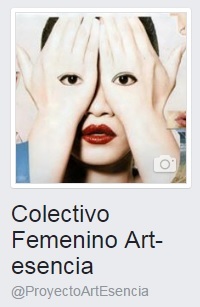 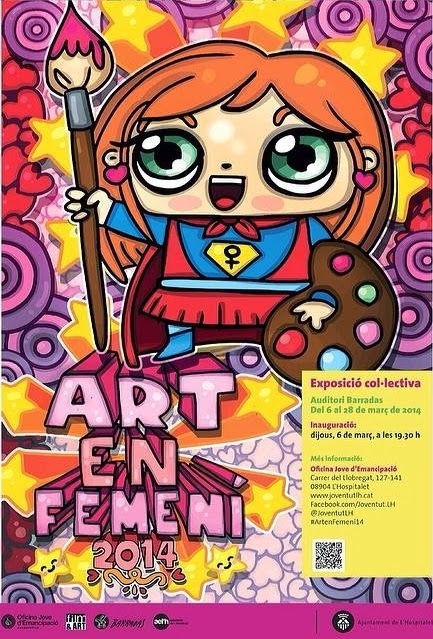 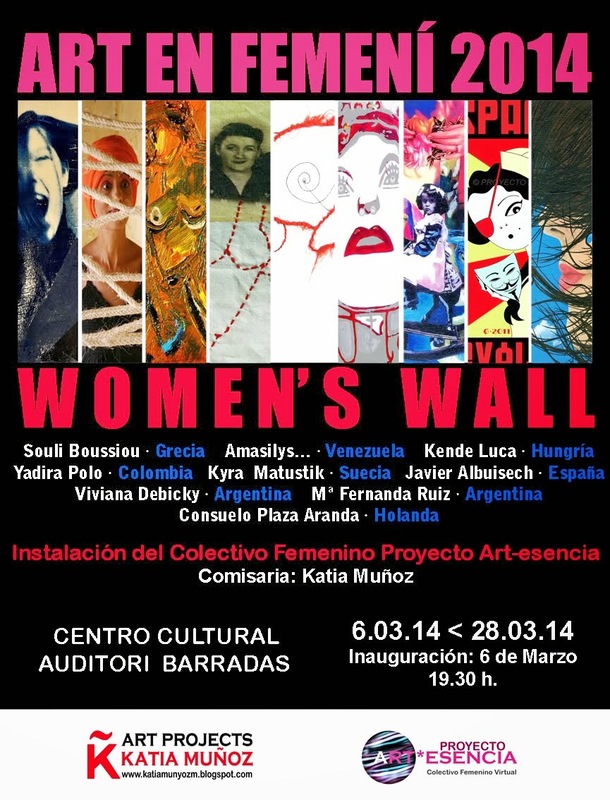 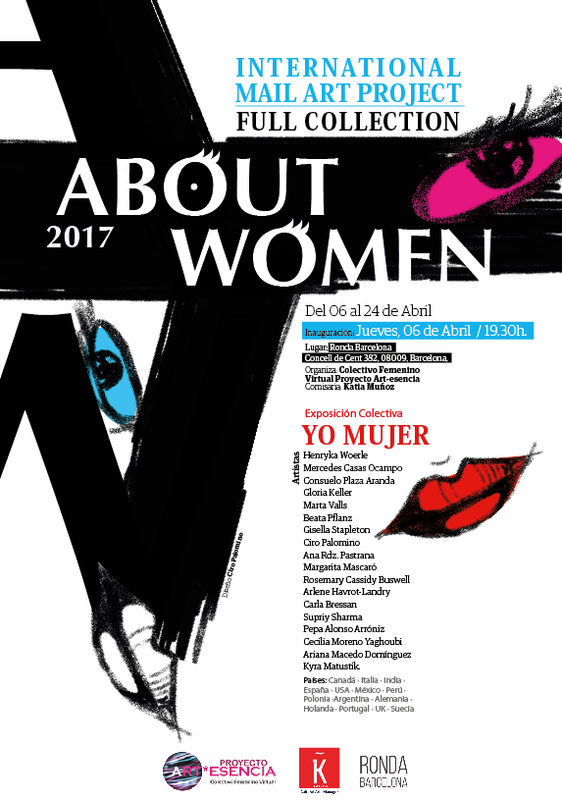 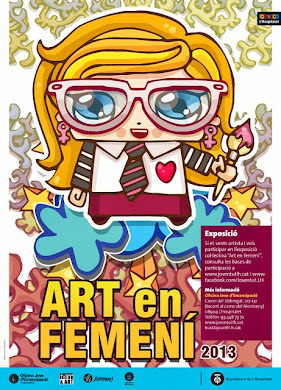 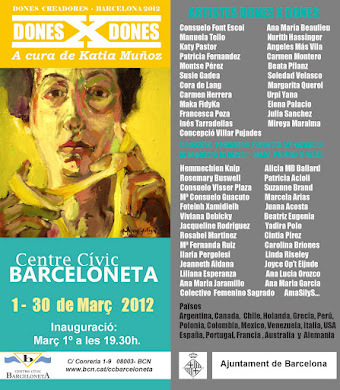 Todos se congregaron para celebrar el arte y la unión de los artistas para poder generar dialogo con la sociedad en tantos temas aun pendientes sobre el tema de la mujer y la igualdad. 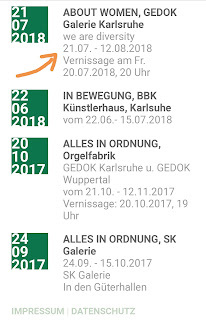 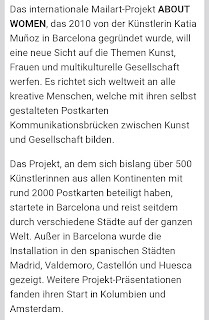 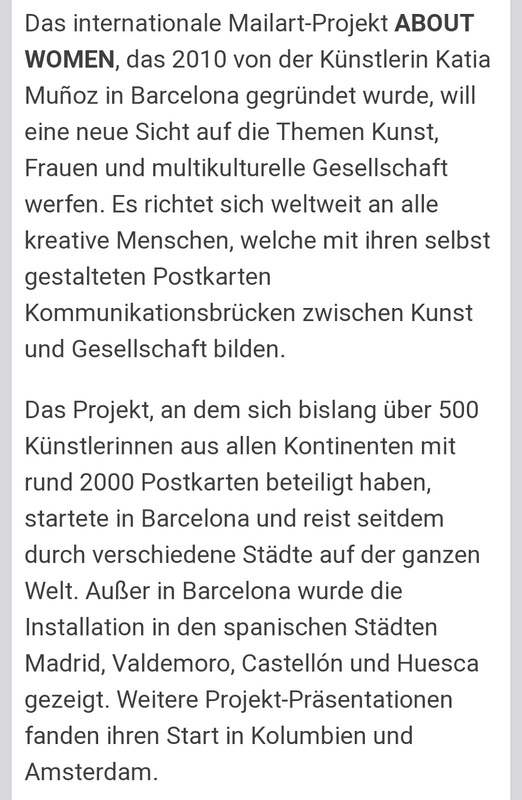 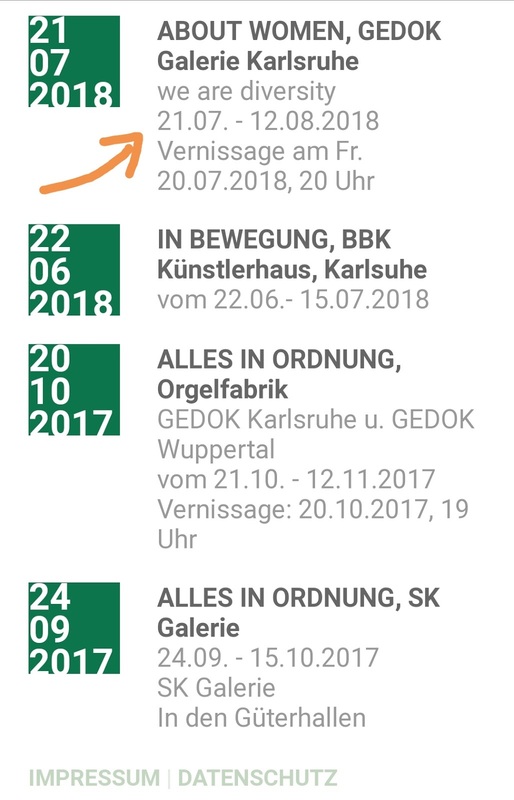 Gedok Karlsruhe realizó una convocatoria interna con sus artistas asociados, participaron un total de 35 artistas enviando 100 postales entre todos. 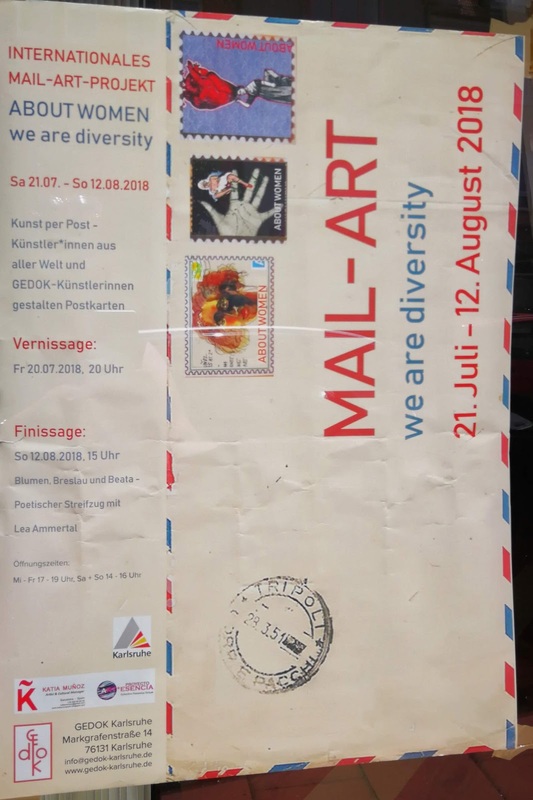 Esta grupo de postales se adhiere así a toda la colección que seguirá viajando por el mundo. 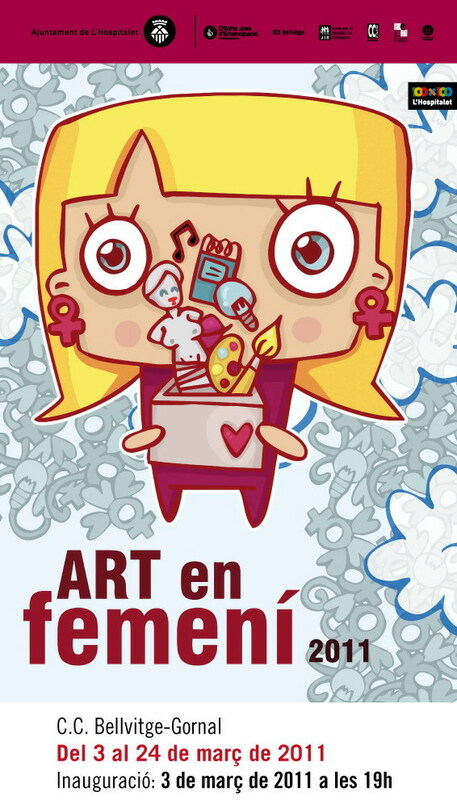 La exposición estará del 20 de julio al 12 de agosto donde tendrá lugar un finissage. 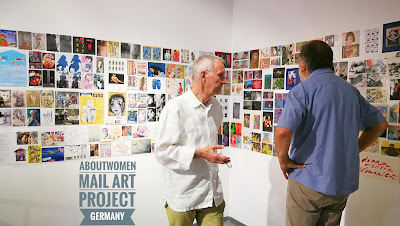 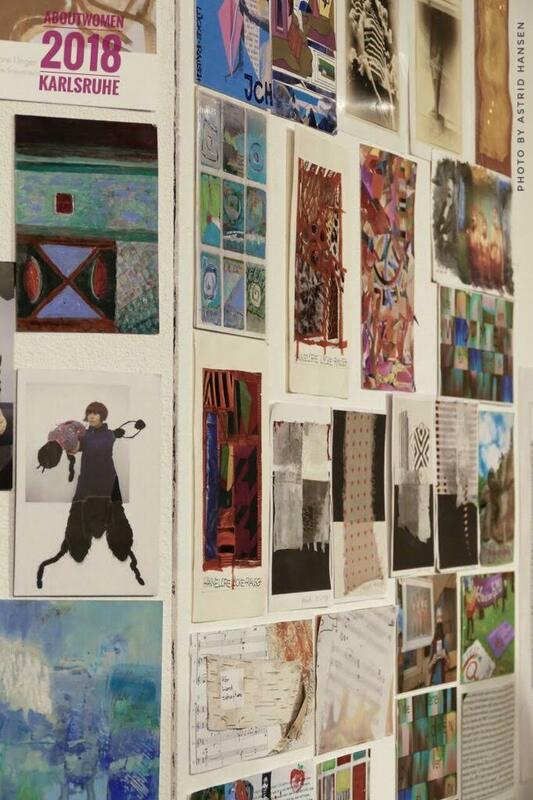 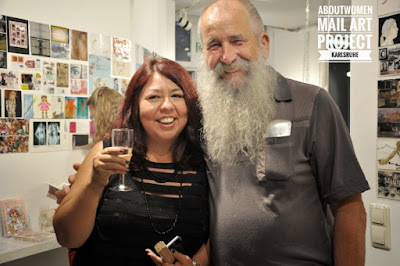 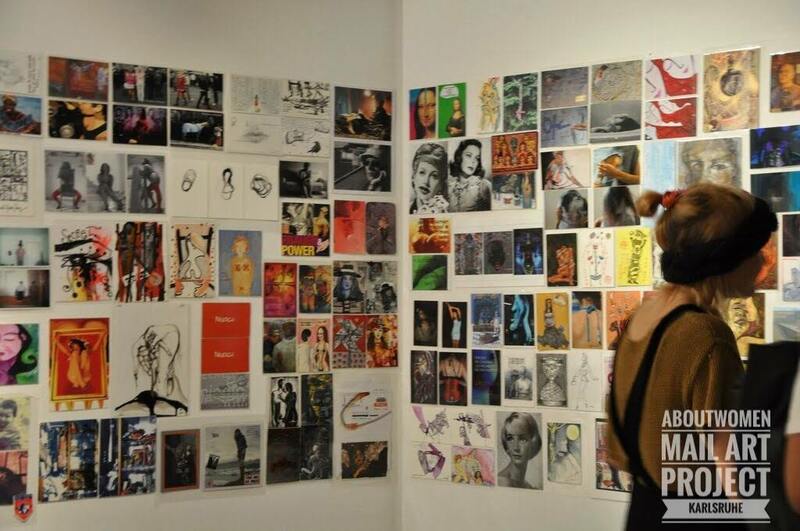 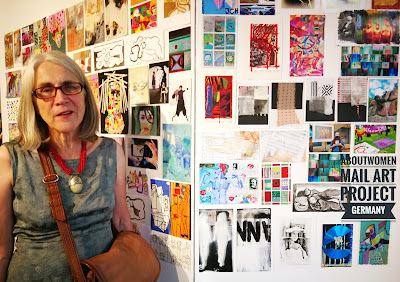 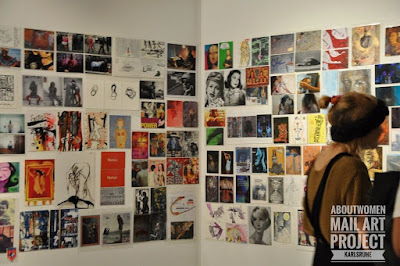 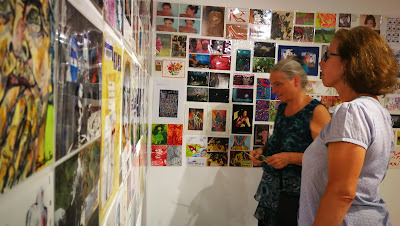 The exhibition was hosted by a large audience interested in the project and in mail art. 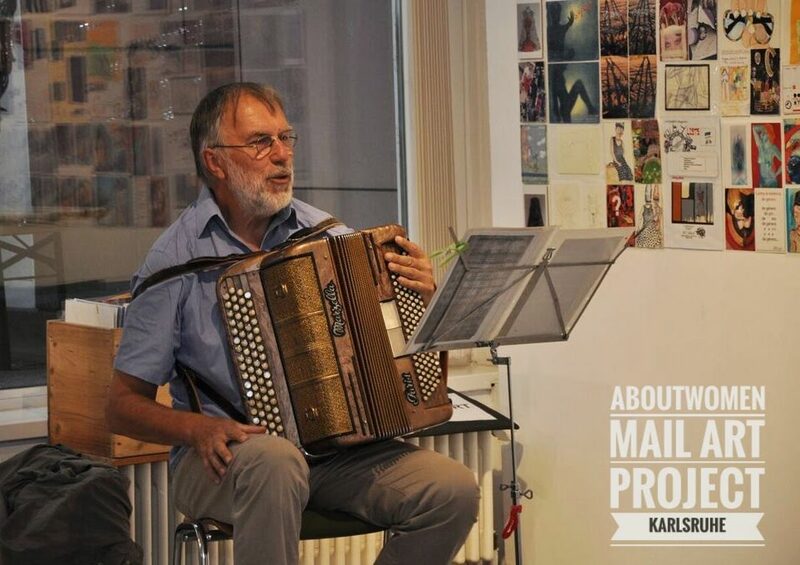 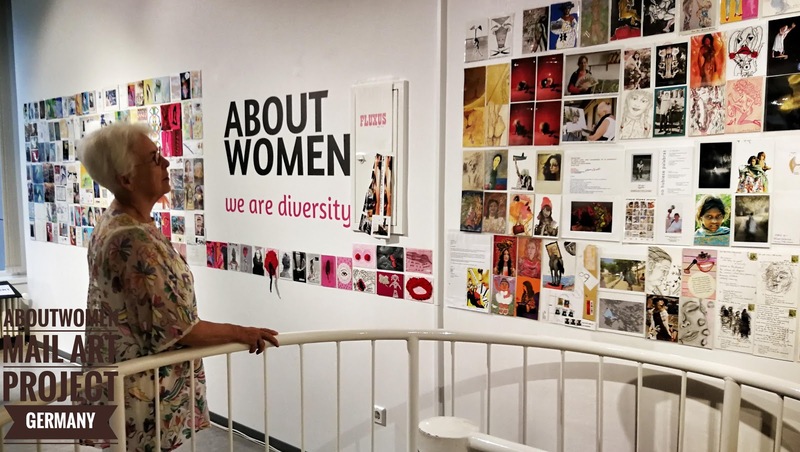 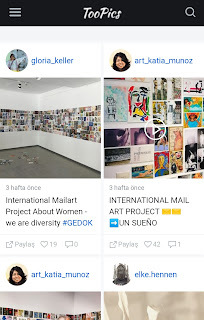 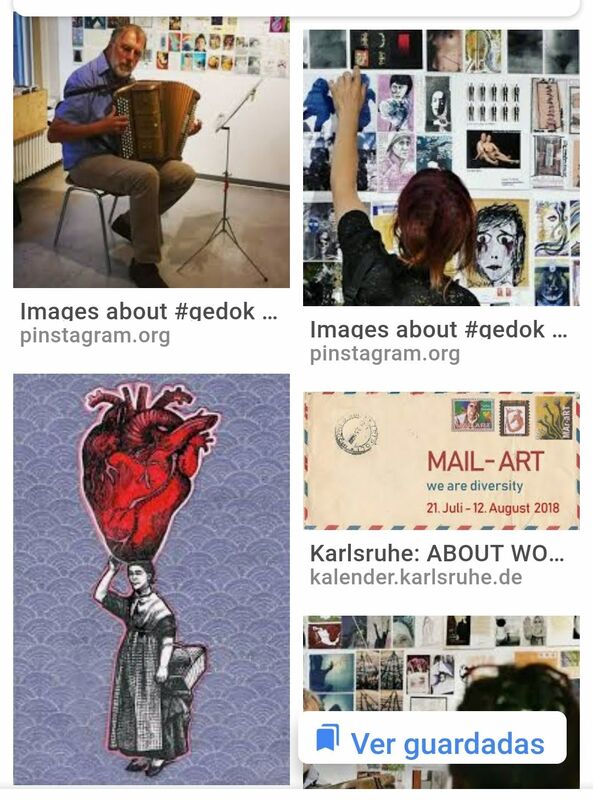 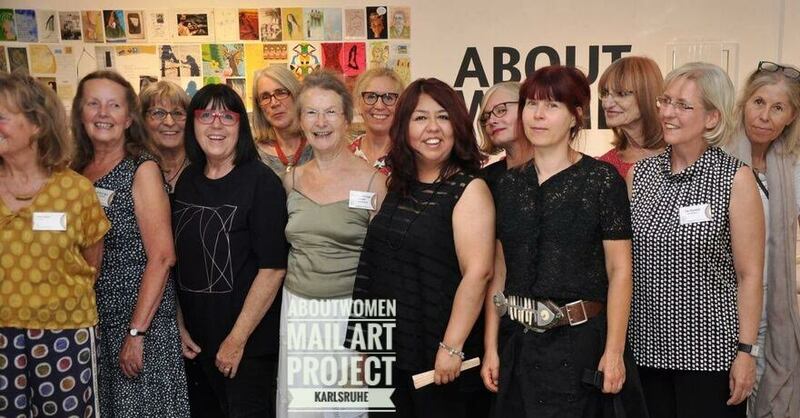 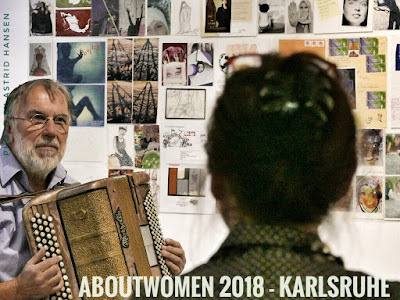 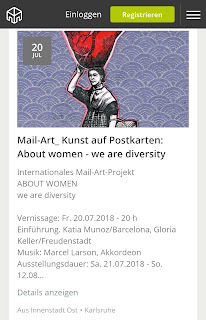 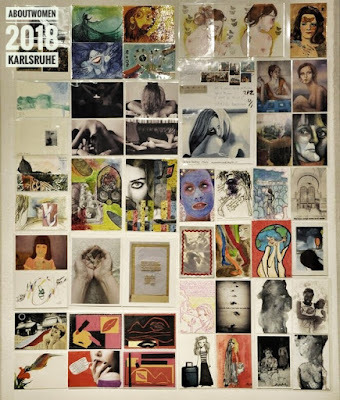 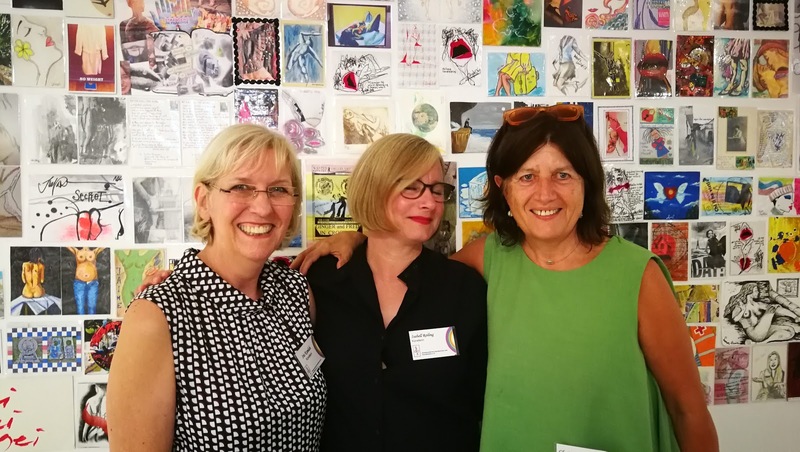 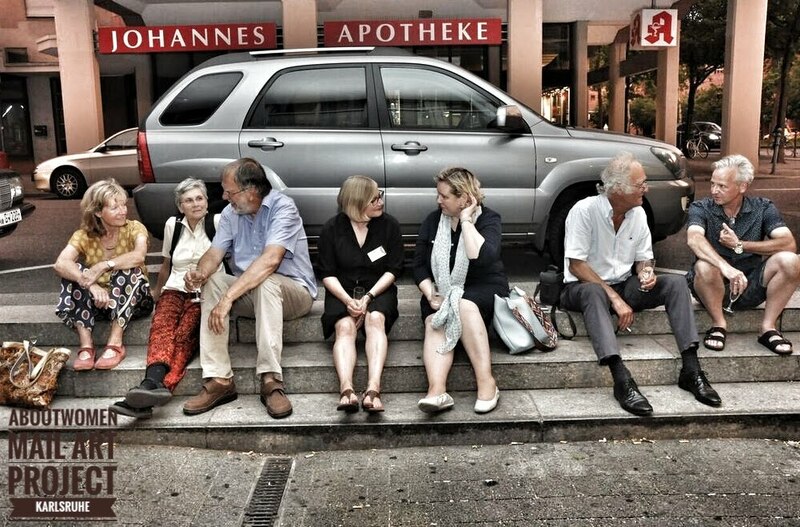 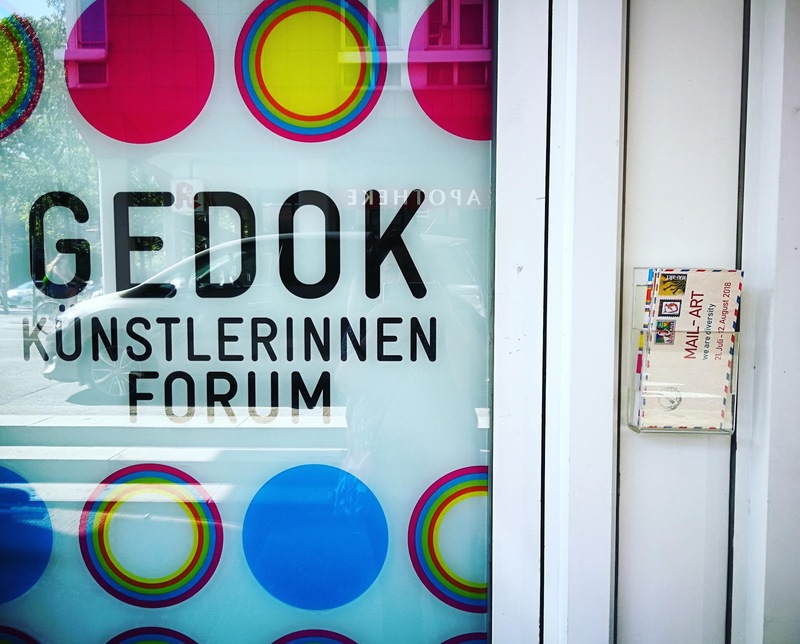 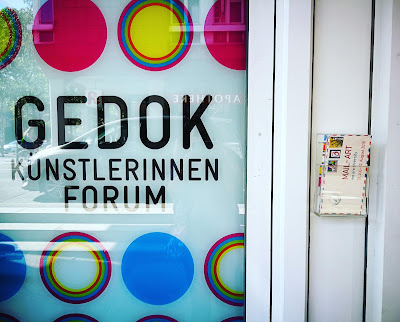 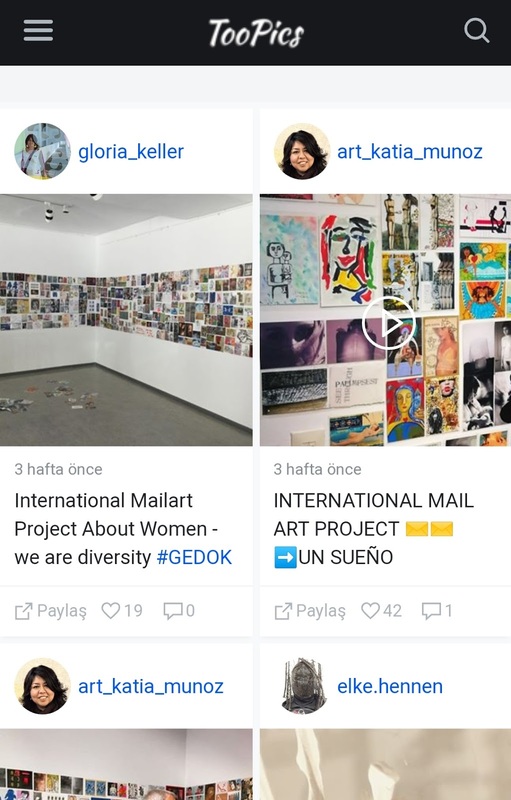 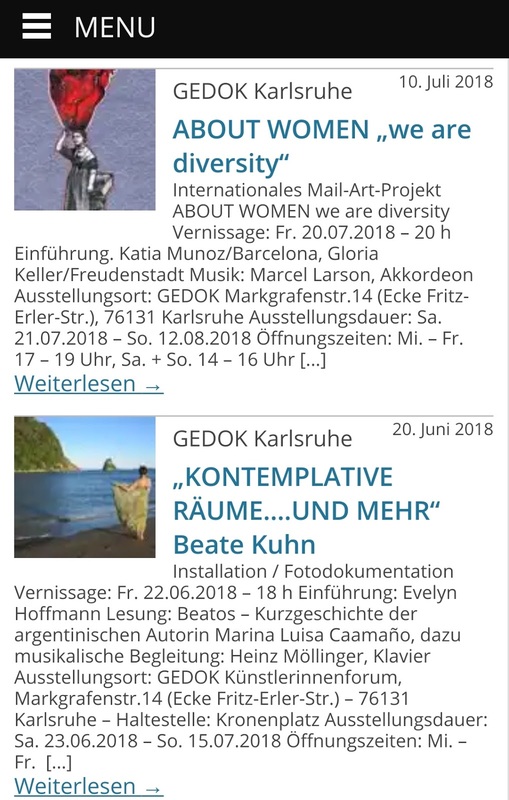 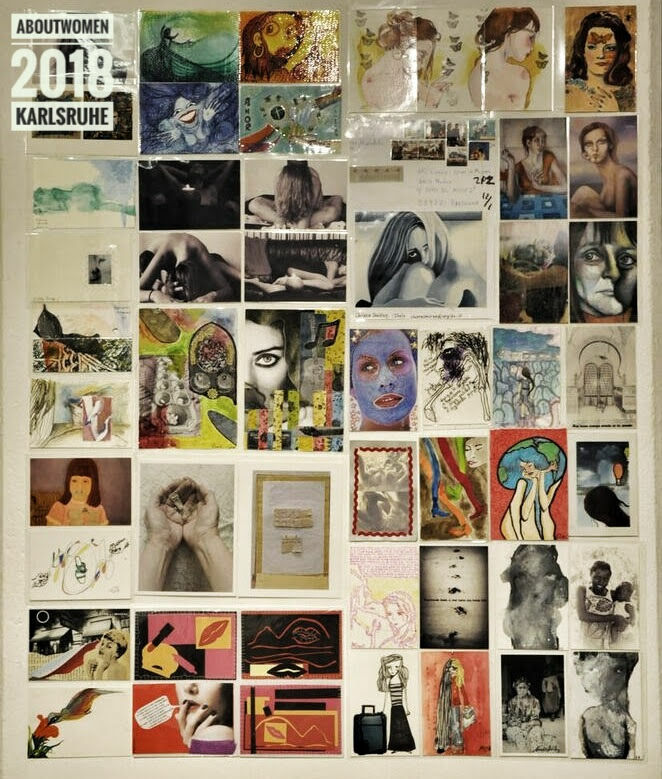 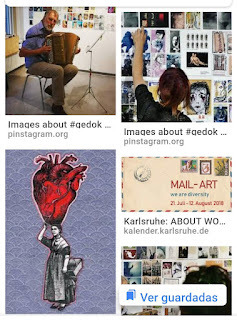 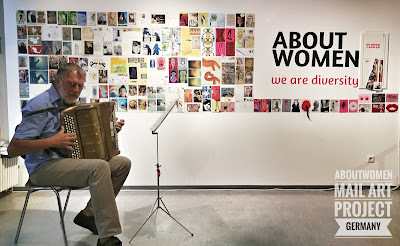 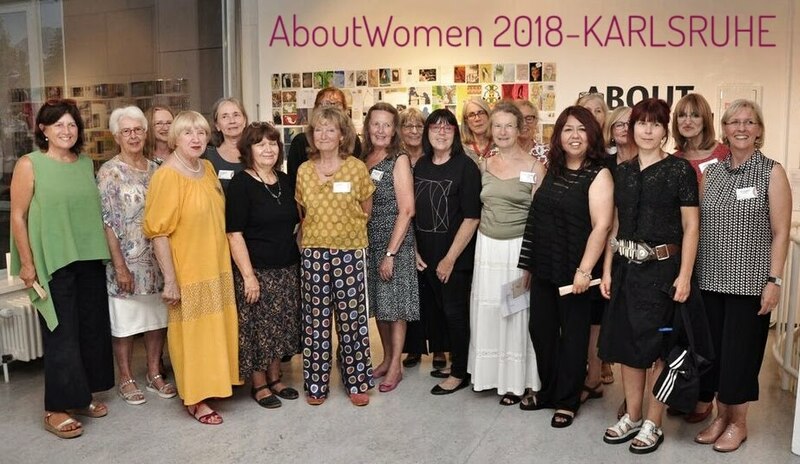 All gathered to celebrate the art and union of artists to generate dialogue with society on many issues still pending on the issue of women and equal Gedok Karlsruhe made an internal call with its associated artists, a total of 35 artists participated, sending 100 postcards among all. This group of postcards adhere to the entire collection that will continue to travel the world. 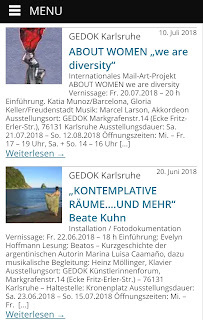 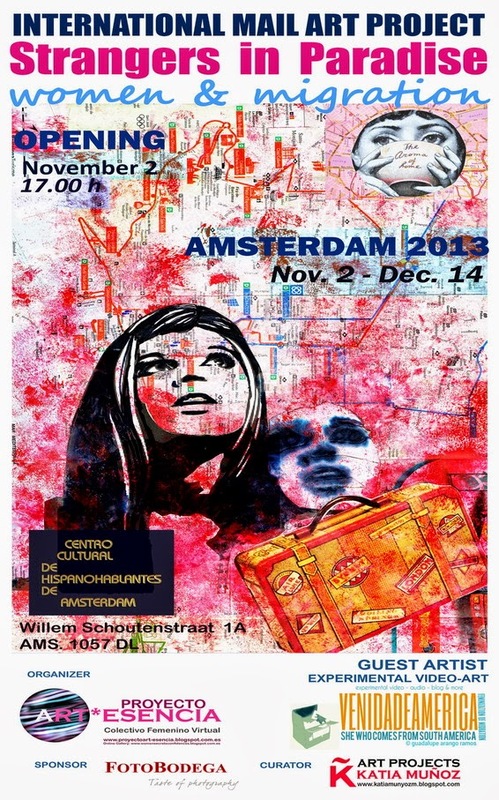 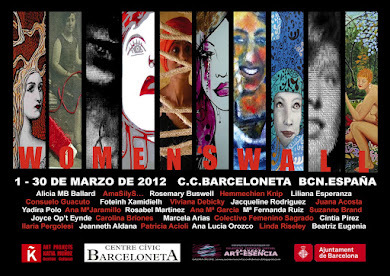 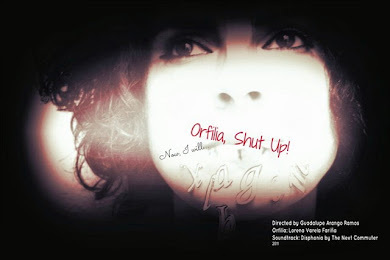 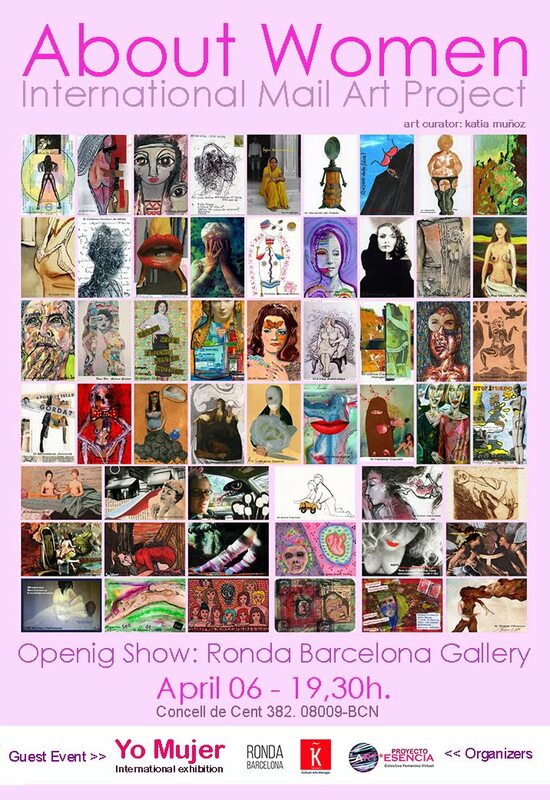 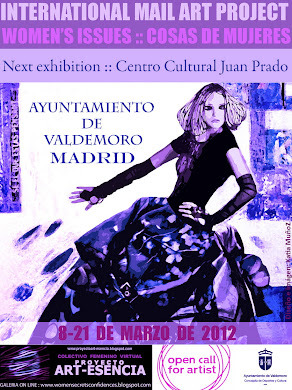 The exhibition will be from July 20 to August 12 where a finissage will take place. 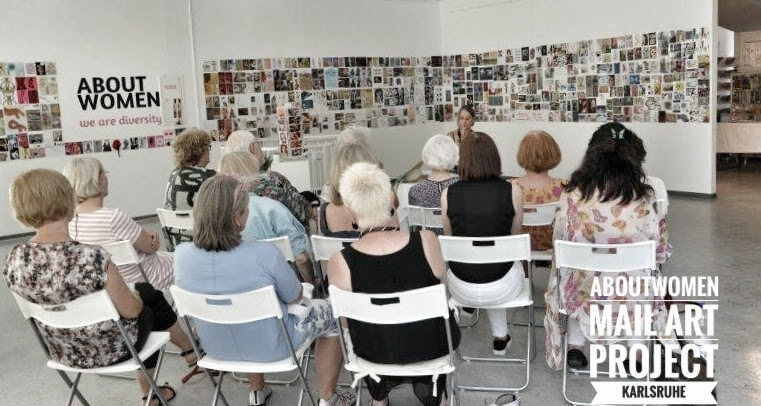 Finalmente, la exposición se extenderá hasta finales de agosto, agradecemos la gran acogida que ha tenido hasta ahora. 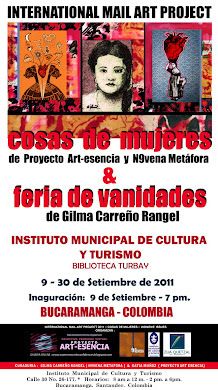 el la ceremonia de finissage se presento la poetisa Lea Ammertal leyendo sus poemas con el escenario de la instalación de postales junto a mas artistas y visitantes de la galería. 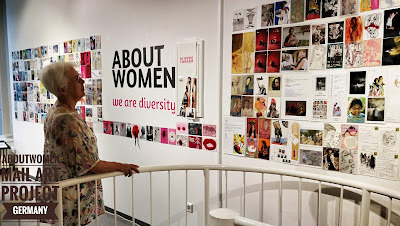 Finally, the exhibition will be extended until the end of August, we appreciate the great reception it has received so far. 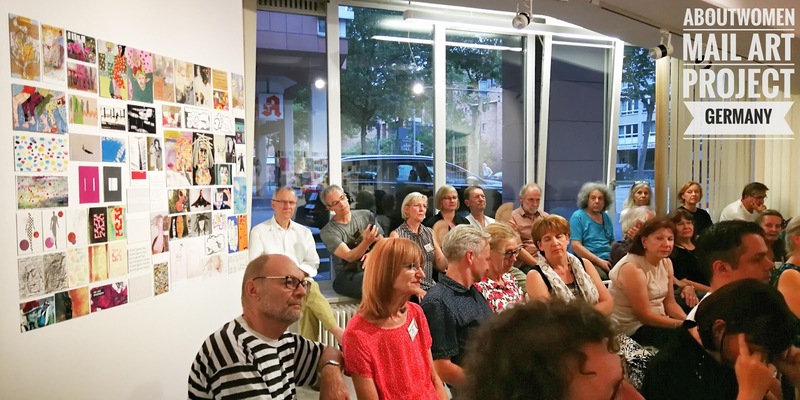 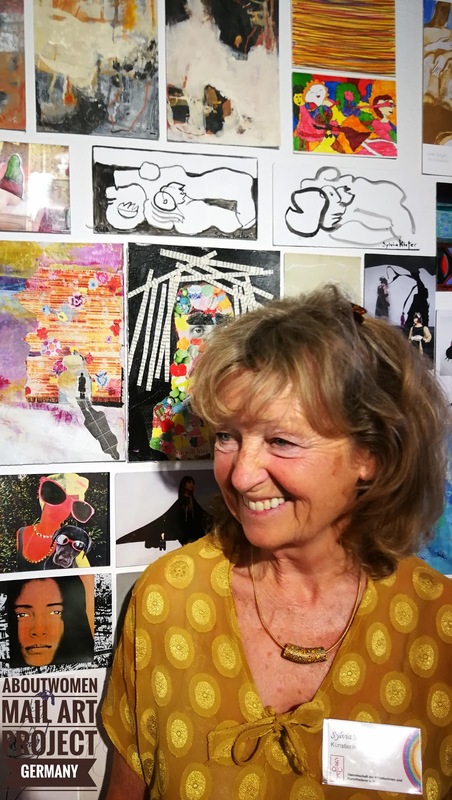 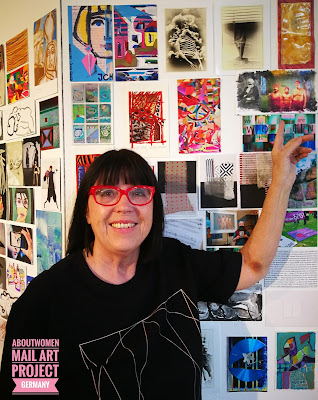 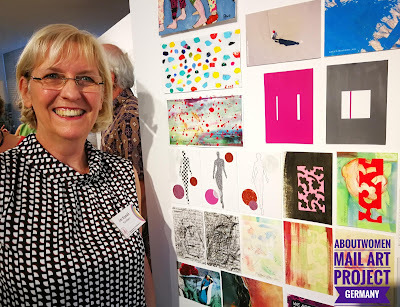 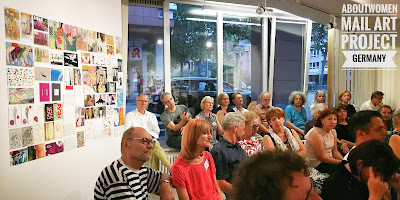 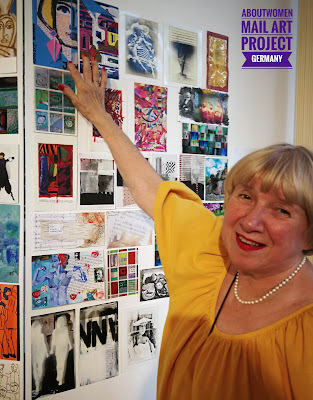 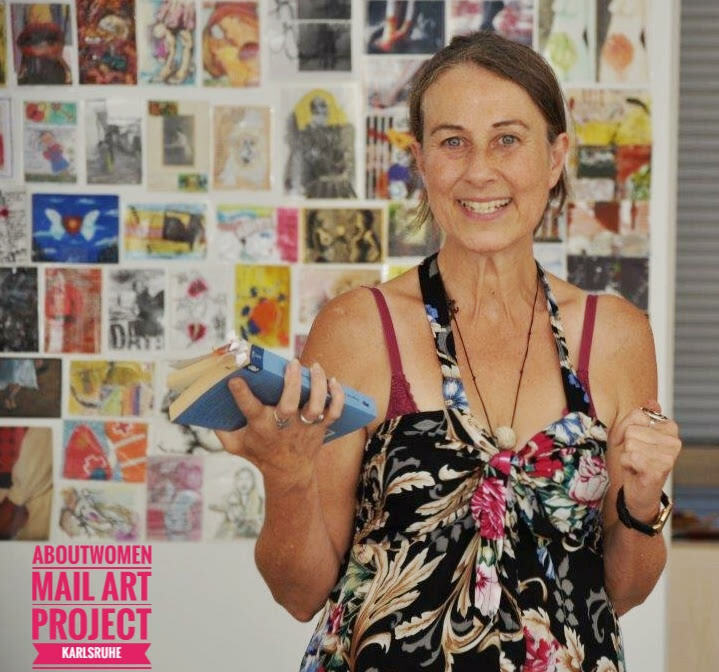 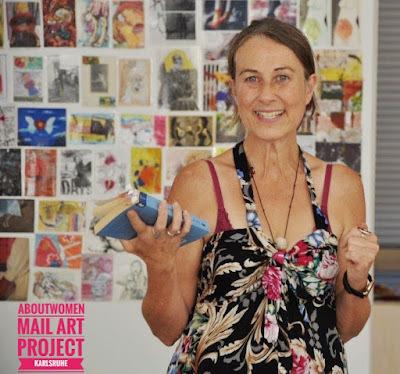 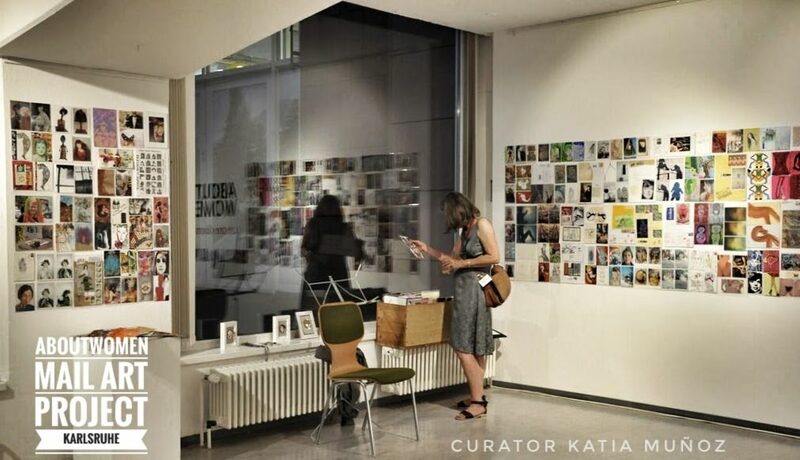 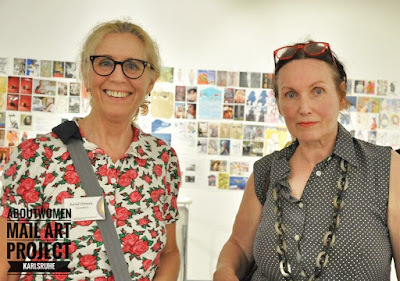 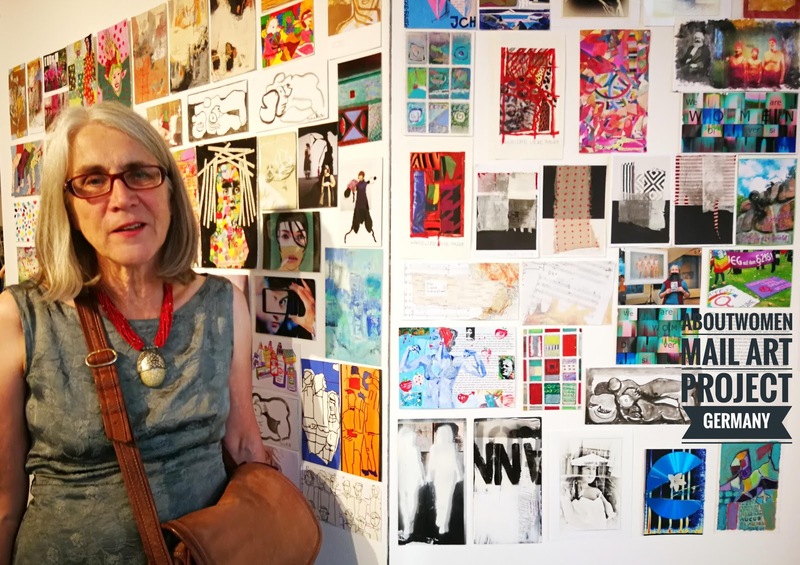 In the finissage ceremony the poetess Lea Ammertal was presented reading her poems with the installation stage of postcards with more artists and visitors of the gallery. 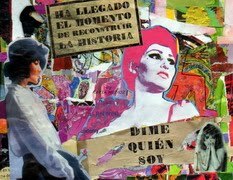 It is time to reconstruct the history... Tell me who I am? 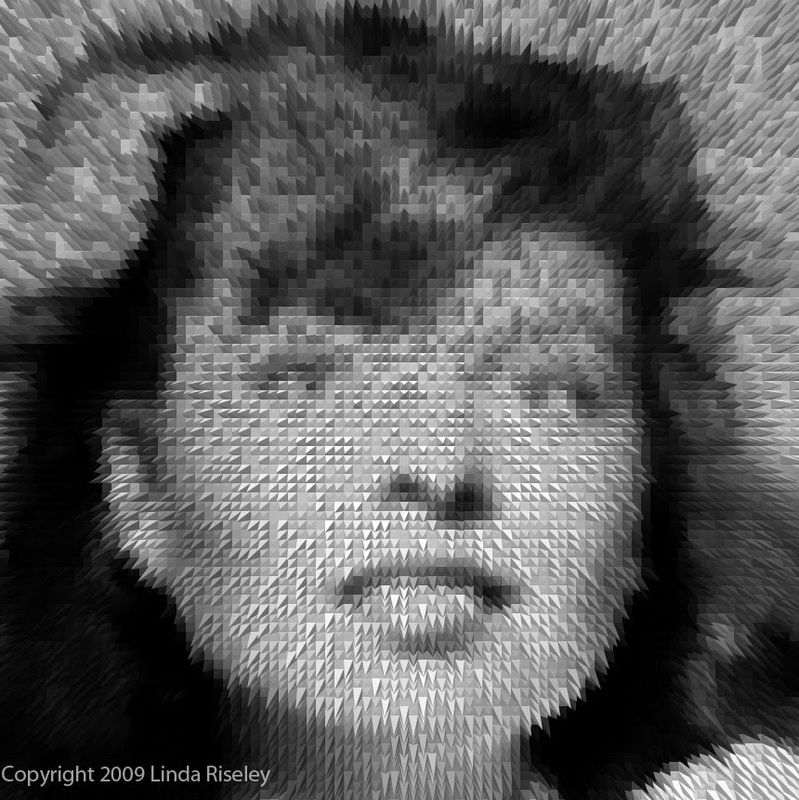 It is not necessary to believe what an artist says, just what she does.No great artist ever sees things as they really are, if she did, would not be an artist.